During Friday’s Opening Ceremonies for the 2012 London Olympics, Apple began airing a series of cheeky new commercials featuring an Apple Genius technician coming to the rescue for customers. Apple subsequently posted the three new commercials, titled “Basically,” “Labor Day” and “Mayday” to its YouTube channel. In “Basically,” the Apple Genius converses with a customer who “basically just got a Mac.” The ad pokes fun at PCs that look like Macs but lack the constellation of Apple’s OS X applications, such as iPhoto, iMovie, and Garageband. “Labor Day” features a soon-to-be father knocking on the Apple Genius’ door at 4am for help making a “photo card to announce the birth.” The technician offers to call an ambulance and discuss photo book options on the way to the hospital. Finally, in “Mayday,” the Apple Genius comes to the rescue on a flight by helping a passenger, who forgot his wife’s anniversary, make an iMovie in minutes. 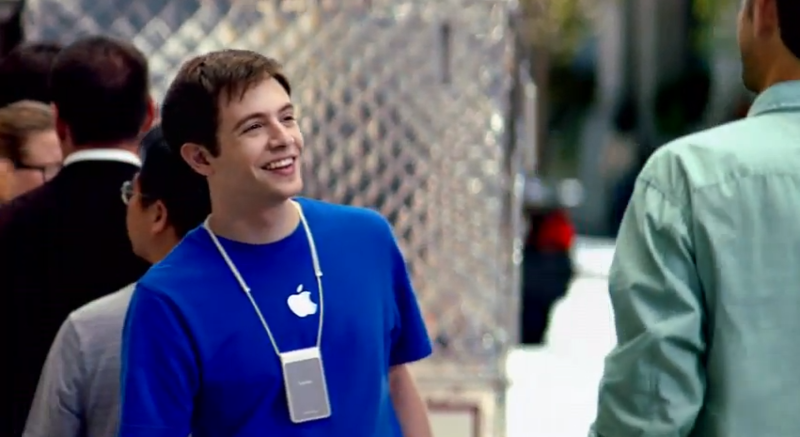 The new campaign will likely remind viewers of the award-winning “Get a Mac” commercials, which featured actor Justin Long as the personification of a Mac computer. In 2010, Adweek named “Get a Mac” the advertising campaign of the decade. Apple also appears to be taking a different tack from its ongoing series that shows celebrities using Siri. Earlier this week, the company released “Busy Day,” which starred director Martin Scorsese. Earlier ads include spots from Zooey Deschanel, Samuel L. Jackson and John Malkovich.